That was the comment from John Dorin, former Montoursville mayor who was a borough councilman on Aug. 30, 1980, when George H.W. 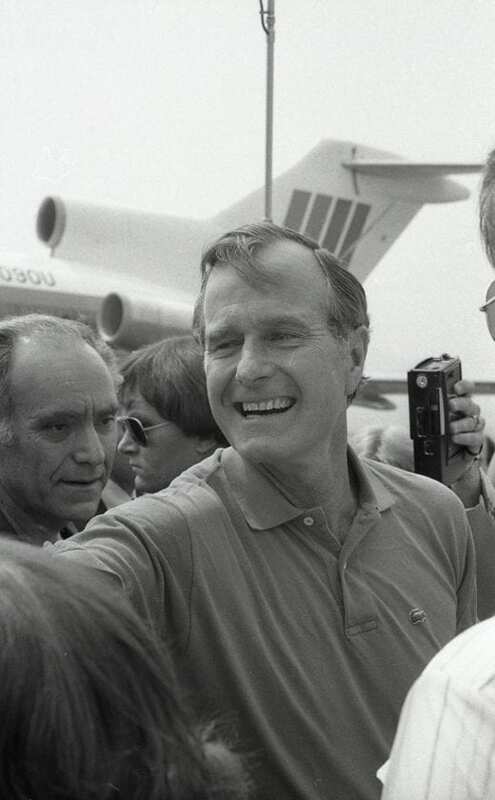 Bush, at the time Republican candidate for vice president, touched down at the local airport. Bush was only in Montoursville for a short time but he left a lasting impact on John Dorin. Bush came here to throw out the first pitch of the Little League World Series championship game between Tampa and Taiwan. 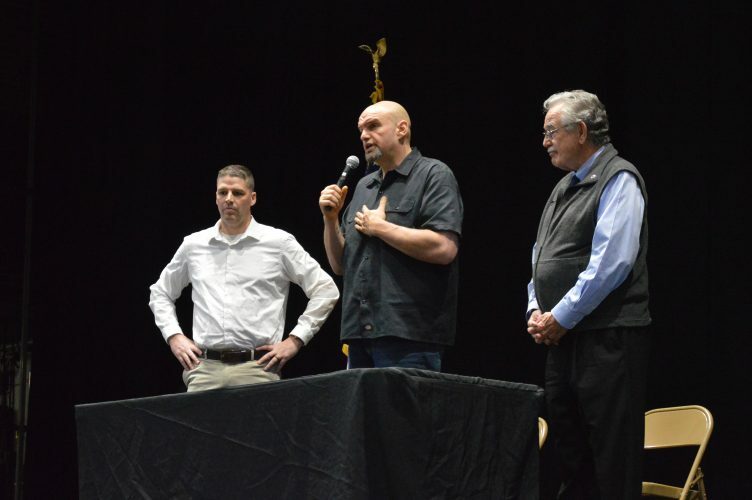 Bush flew into the Williamsport Regional Airport that Saturday morning and was greeted by local Republican officials, including state Assemblyman Anthony J. Cimini, Williamsport Mayor Stephen J. Lucasi, L.L. Lessig, Betty S. Gardner and Mrs. Henry G. Hager, wife of the state senator representing this district. Also on hand were Kevin D. Keeley, president of the Williamsport-Lycoming Chamber of Commerce, and Dorin. Bush briefly thanked the 100-plus area residents and officials and 50 news representatives there to greet him in the muggy heat before dashing to his waiting motorcade. Bush was running late that day, having left a campaign stop in New Jersey 25 minutes later than planned, but he did not have to worry about being late. Rain began falling on the motorcade as soon as it hit Shiffler Avenue. The rain caused a delay to the championship game, allowing Bush to be able to still throw out the first pitch. “We were excited, the whole community was excited,” Doring said, noting the rain didn’t deter local residents from lining the streets to try to catch a glimpse of Bush. On Wednesday, Dorin recalled people lining Loyalsock Avenue and Broad Street. “It was an exciting time for Montoursville,” said Dorin. Bush and his entourage found shelter from the rain in the Red Cross facility that was then in the back of the grandstands of Howard Lamade Stadium. Bush was a longtime Little League supporter, according to Little League International. The 40-plus year relationship that Little League has enjoyed with the Bush family began with that first visit in 1980, according to Keener. Keener was a 21-year-old just out of college in his first year working for Little League and got the opportunity to help plan Bush’s visit and spend time with him in 1980. “He was as kind and nice and considerate as he is being eulogized today. For someone who was seeking the second highest office in the land, I was pleasantly surprised,” said Keener. He also recalls Bush sharing that he had coached his son’s Little League team. That son, George W. Bush, went on to be the 43rd president of the United States. In 1989, Little League honored President George H.W. and Mrs. Bush by adding their names to the Little League Parents of the Year award that is presented annually during the World Series here. President George H.W. Bush also was integral in Little League’s 50th anniversary celebration in 1989, honoring Little League with a reception on the South Lawn of the White House. Keener was present at that anniversary celebration. He recalls standing with the late president and Mrs. Bush and Little League President and CEO Dr. Creighton J. Hale when the First Lady told Hale that if it wasn’t for women, America wouldn’t have Little League, adding how she washed uniforms, worked the concession stand and drove to practices. She said of her husband: “All he did was coach,” to which Keener said her husband laughed heartily. A few days following that event, President George H.W. and Mrs. Bush traveled to the U.S. Embassy in Warsaw, Poland, with Hale, to deliver the first Little League charter to leagues established after the fall of the Soviet Union.